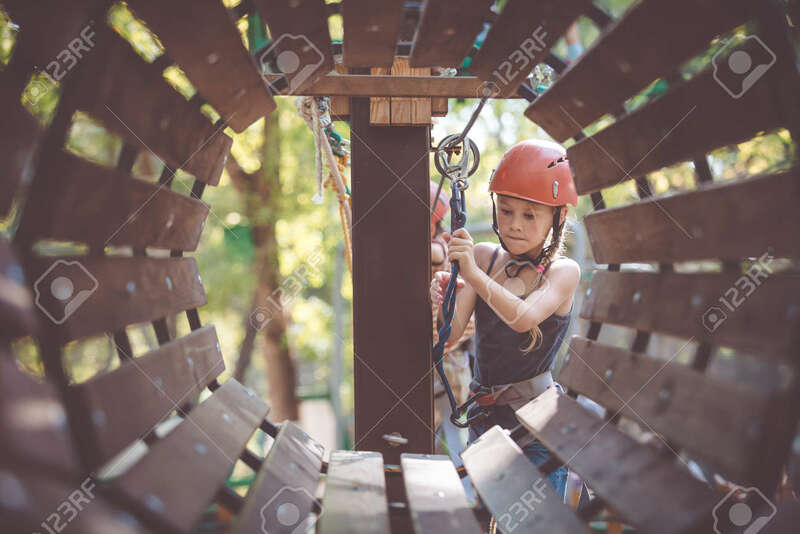 Little Brother And Sister Make Climbing In The Adventure Park At The Day Time. Concept Of Happy Game. Child Having Fun Outdoors. Lizenzfreie Fotos, Bilder Und Stock Fotografie. Image 116775909.